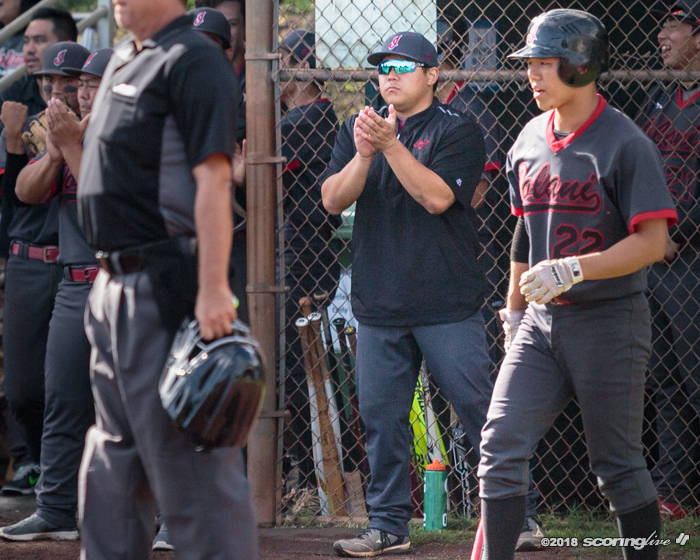 Kalani announced the hiring of Reyn Nagamine as varsity baseball coach in a press release Friday afternoon. Nagamine, a 2009 Iolani alumnus, played Division I collegiate baseball at both the University of San Diego and later at the University of San Francisco, where he graduated from. He most recently served as hitting coordinator at Iolani and also was head coach of Iolani's 19U American Legion team. "Nagamine brings a wealth of knowledge from playing D1 college baseball and demonstrates a passion for the game that will fit in nicely with Kalani's historically competitive baseball program," Kalani athletics director Greg Van Cantfort said in the press release. Nagamine said he is "excited and anxious" for his first head coaching gig. "It's a new challenge and it's the next step in my coaching career. It'll help me grow and it'll help me improve, not only as a coach, but as a person as well," Nagamine said by phone Sunday afternoon. "There's a lot of new responsibility being a head coach versus being an assistant, but ultimately, I'm excited about reaching out to a new group of players and trying to develop a culture that we've been preaching at Iolani. It all happened so fast so I'm kind of just trying to take everything in." Iolani coach Kurt Miyahira said Kalani's gain is his program's loss. "I think we're going to miss Reyn a lot. He's been an integral part of our player development for the past few years. We wish him the best of luck and we know he'll do a great job at Kalani. I think his strength is that he's very calm, very easy going, very even keel. He's very organized and he's just a good guy. He's the kind of guy you dream about having. You look for guys like that for your staff," Miyahira said. Nagamine takes over for Shannon Hirai, who stepped down in late May after serving as Falcons head coach for 22 seasons while having led the team to Oahu Interscholastic Association East titles in 1998 and 2005.